On revitforum.org there’s a nice post on a solution for using Revit with dual screens. I won’t rewrite the text here. You can read the full post here. 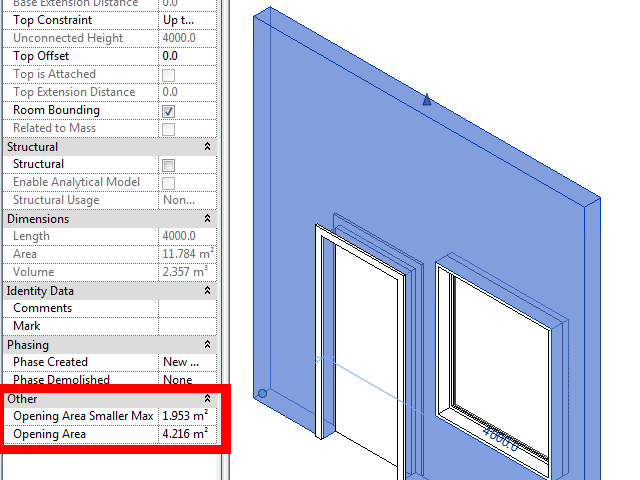 When Revit calculates the area of a wall with openings it gives you the wall area minus the openings area. In some case you would like to have information on the gross area of the wall and the net area of the openings in that wall. 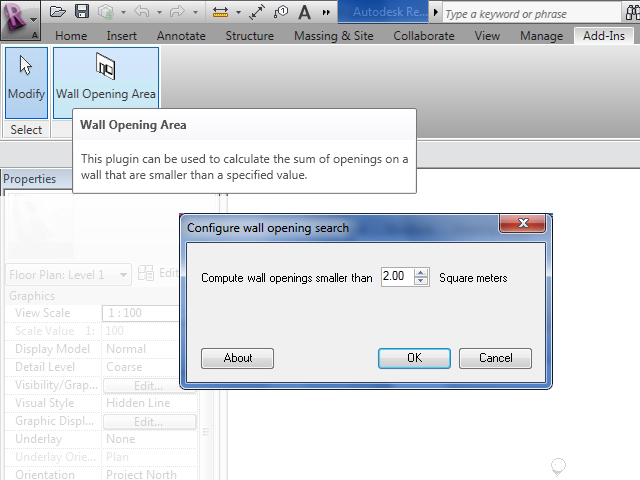 With the “Wall Opening Area” extension for Revit from Augusto Goncalves, this is now possible. It became a Plugin of the Month on Autodesk Labs. Something very useful: you can tell the tool to ignore openings smaller than i.e. 2 m². 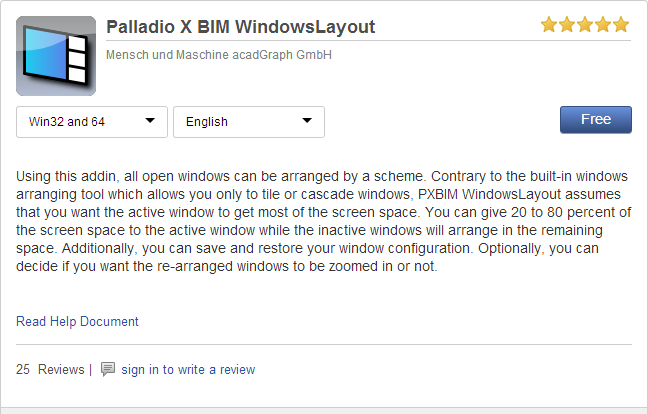 The tool can be downloaded on Autodesk Exchange using this link. Have fun with it !